For licensed massage therapist Cheri Baum, bodywork is an important part of a healthy lifestyle. "I look forward to the opportunity of helping you achieve a healthy and less stressed state of being," she says. 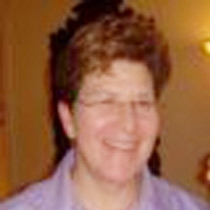 A native New Yorker with a practice in midtown west, Cheri's expertise is marked by her unique background and training. Cheri, who places an emphasis on medical, deep tissue and sports massages, spent three years participating in an innovative program at Beth Israel Hospital, performing therapeutic massages for patients.